When I was young, my family often spent the summer in the countryside. We visited the same town so frequent that we were more like members of the community than casual guests. During my stay there, I came to rebuke many of the myths and stereotypes city people often have with regards to country folks. The most blatantly false stereotype about country people is that they are not too bright. While it’s true that many of them do not have a formal education, they are a lot wiser and much more pragmatic about life than most city people I know. I learned a lot more from just listening to the lively conversations, taking place every afternoon at the local eatery, than a whole year of primary education. These conversations covered a broad range of topics, from politics to the fall harvest. Not all of them were animated, but I always came away with things I didn’t know before. I also befriended many of the children there. I was especially close to a boy named Jimmy. Even to this day, I am still not sure how we became such close friends. We were vastly different people. He was a free spirit who liked to do things I wouldn’t dare say. I was a quiet and stubborn person, who was often trapped adhering to conventions. Maybe because our personalities so sharply contrasted that we found redeeming qualities in each other. 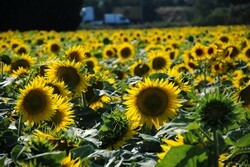 During the day, Jimmy and I (together with other town kids) played hide and seek in the sunflower field. At nighttime, the two of us would climb up to the top of the hill to watch the enchanting stars. Although it has been a very long time, many of our adventures are still fresh in my mind like they were yesterday. Not only we shared many adventures together, we often divulged to each other our dreams and aspirations. Jimmy learned about my struggles to live up to my parents’ lofty goals and expectations. I learned how he had always wanted to leave this monotonous town; he dreamed of an exciting city life and aspired to become a pilot. It was strange how I was the one who felt emotional listening to what he had to say, and I supposed to be the more stoic of the two. When I broke the news that my family was about to move to another region and will no longer return to the town, Jimmy was noticeably sad. He told me to wait for him at the sunflower field; he showed up two hours later with a note in his hand. Jimmy gave me the note and smiled. “This is my parting gift,” he said. On the note was a little poem, written not too long ago; I could still smell the fresh ink. The poem was short and direct. It must have been a real pain for Jimmy to write this as he did not know many words. But it did not matter. This was a gift from a close friend and nothing is more precious than that. On the day of our departure, many of the town people came to bid us farewell. Jimmy was not among them, however. I guess it was too sad for him to see us leaving. As the bus was departing, a sudden bell sound interrupted my train of thoughts. I recognized right away when I heard the sound that Jimmy was here following our trail. I opened the bus window and saw Jimmy chasing our bus on his rusty bike. When he saw me, he waved his hands unswervingly. I found myself sobbing a bit. If there ever was a moment when one is allowed to be emotional, this would be one. He followed our bus for a very long time, until he could no longer keep up. That was the last time I saw Jimmy. I returned to the town some years later but Jimmy was no longer living there. He might have very well moved to the city in pursuit of his dreams. Whatever the case, he will always have a special place in my heart.